A ministerial panel headed by Finance Minister Arun Jaitley gave the green light to sell 27 acres of Air India’s land in the capital’s upmarket Vasant Vihar to public sector company NBCC. 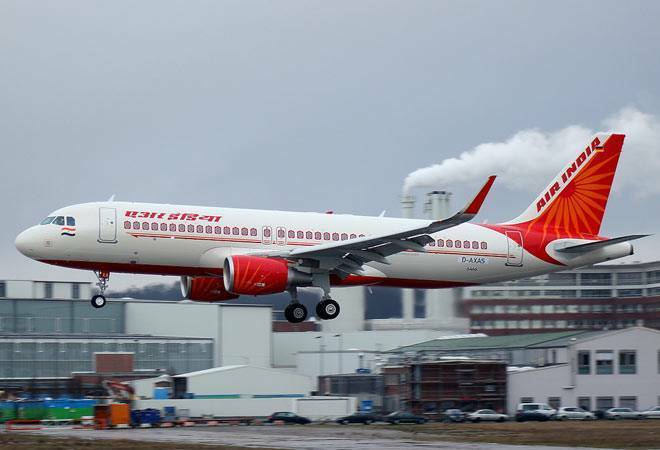 In an attempt to pare down Air India’s debt burden of over Rs 50,000 crore, the government yesterday decided to sell some of the Maharajah’s real estate along with the strategic sale of the airline’s ground handling subsidary Air India Air Transport Services Limited (AIATSL). Sources in the know told The Times of India that on Tuesday a ministerial panel headed by Finance Minister Arun Jaitley gave the green light to sell 27 acres of Air India’s land in the capital’s upmarket Vasant Vihar to public sector company NBCC. This land will be used to build high-end luxury apartments. The panel reportedly also took an in-principle decision to take up the sale of a large plot on Baba Kharak Singh Marg, in Central Delhi, which can be taken up for commercial use. The daily added that in the next phase of monetising the beleaguered airline’s assets the Centre will decide on several buildings that it owns. The logic is clearly to get rid of all the real estate that the airline does not need. As per government estimates, the sale of AIATSL and some of the other subsidiaries, along with the monetisation of Air India’s land assets, could help the debt-ridden carrier raise over Rs 10,000 crore, which will be used to repay lenders. “The Alternative Mechanism has approved EoI [Expression of Interest] together with Preliminary Information Memorandum for AIATSL sale. [This] would happen after transferring AIATSL to a Special Purpose Vehicle (SPV), which has already been incorporated,” sources told PTI yesterday. The buzz is that the Centre is keen to conclude the strategic sale in the current fiscal itself. AIATSL, which provides airport ground handling services to Air India, including passenger, ramp, security and cargo handling, had posted a profit of Rs 61.66 crore in the financial year 2016-17. Also read: Jet vs Air India: In a race to the bottom, which airline is beating the other? With its debt pared down and continuing good news on the oil price front, the Maharajah could even clean itself up for a successful disinvestment round in the future. According to Reuters, oil prices have lost around 30% in value since early October, weighed down by an emerging supply overhang and the widespread weakness in financial markets. However, much rides on the G-20 meet this week, and the upcoming meeting of the Organization of the Petroleum Exporting Countries (OPEC) on December 6.